A clever version of Vanilla House’s signature Four Corners Apron with a perfectly centered panel down the front. A hidden pocket is concealed in the center panel. One size fits all. 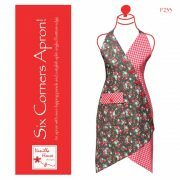 So novel from your typical apron styles, Six Corners Apron re-invents the whole concept of aprons. Not only is Six Corners trendy with its cross-over panels and split-angled bottom edge, it is flattering for most figures with its A-line shape. 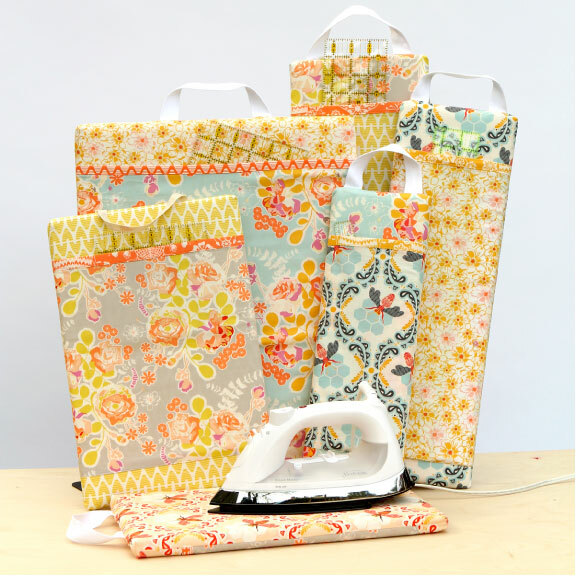 Quick and EASY to make, it requires mirror image of pieces cut from two coordinating fabrics. One size fits all. 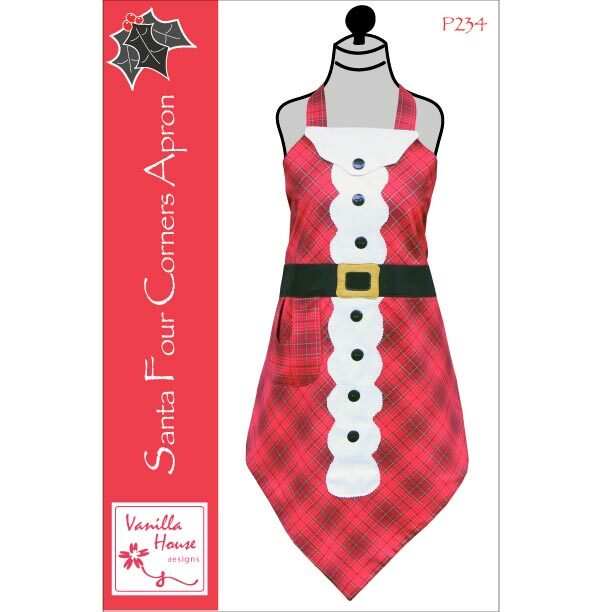 Celebrate the season in this festive holiday Santa Claus version of Vanilla House’s signature Four Corners apron. 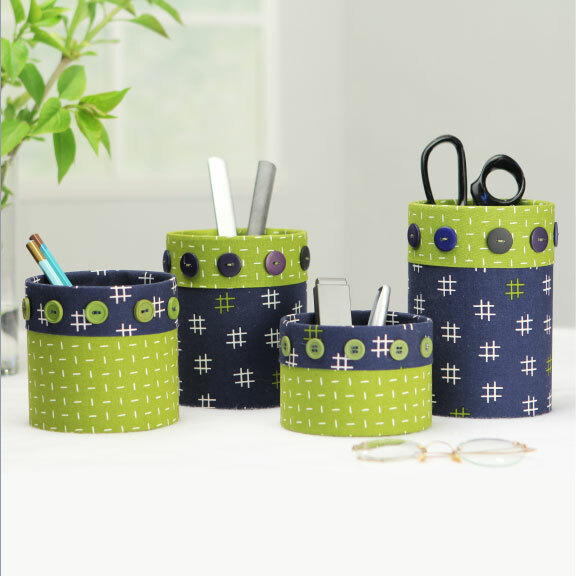 Many clever techniques in this an easy-to-make project including the super easy U-shaped pocket. One size fits all! 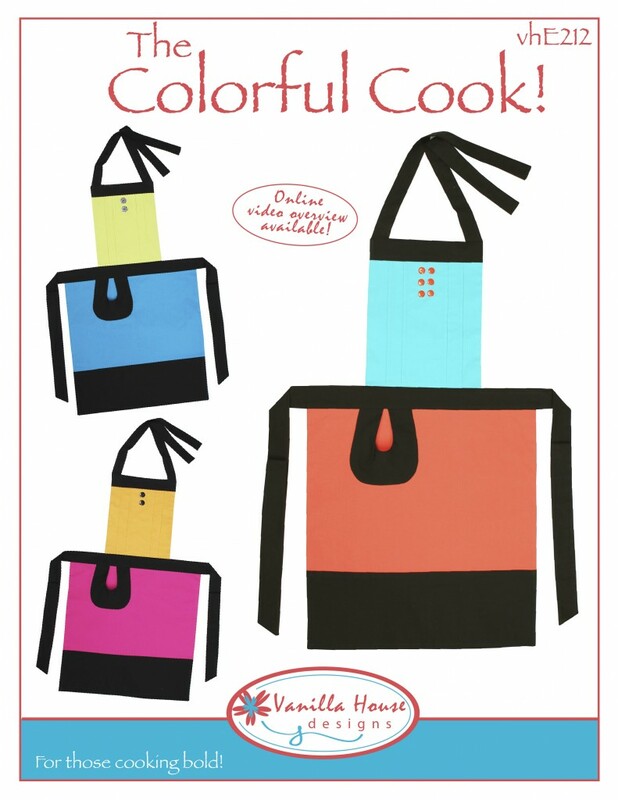 This chic apron pattern features the use of bold and bright, solid-color fabrics. 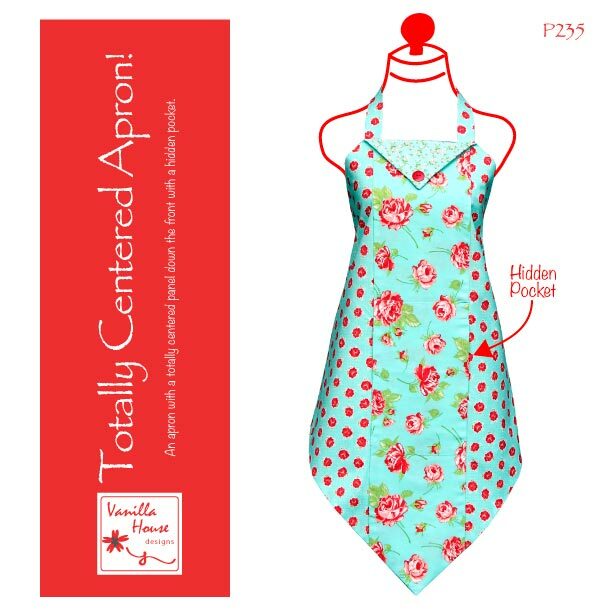 Quick to make, this apron has pleats on the bib with an accent pocket on the skirt. 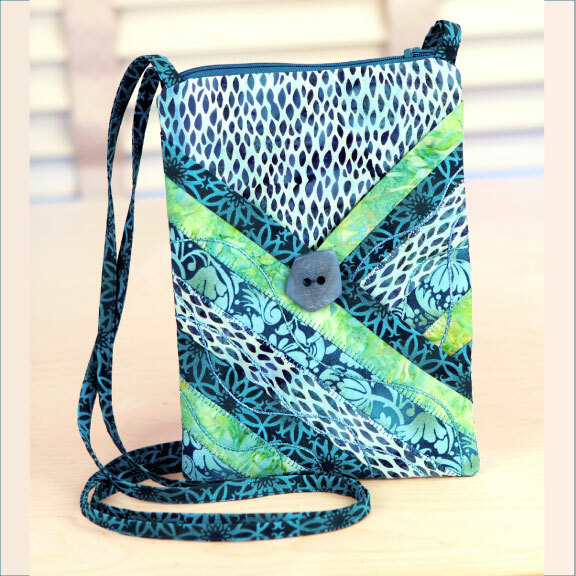 This pattern is available as a downloadable PDF pattern or as a printed pattern which can be mailed to you. 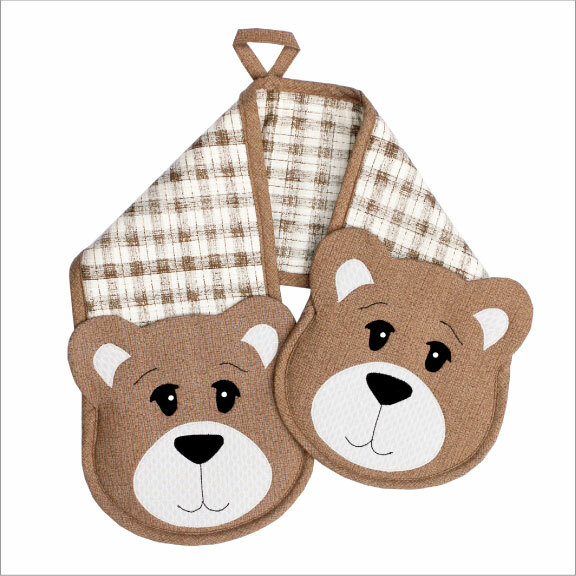 Another great ensemble of kitchen projects: reversible apron, place mat with napkin, oven mitt, three-pocket hanger, dish towel, and scone mix bag with recipe for White Chocolate Chip Scones. All are quick to make for your kitchen. 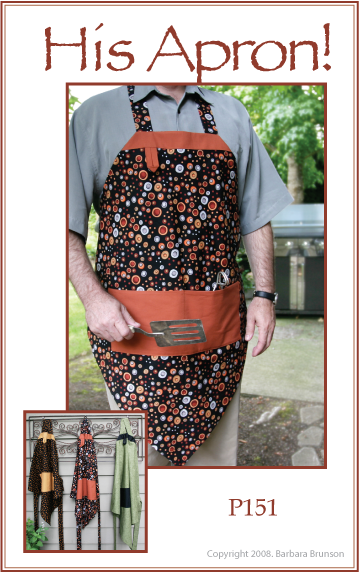 It is finally time for an apron pattern for MEN! And time for barbecue! Pattern comes in three sizes small (100-150 lbs. ), medium (150-200 lbs. ), and large (200-250 lbs)! Sew for your guy OR for our guy sewers, sew up a storm. 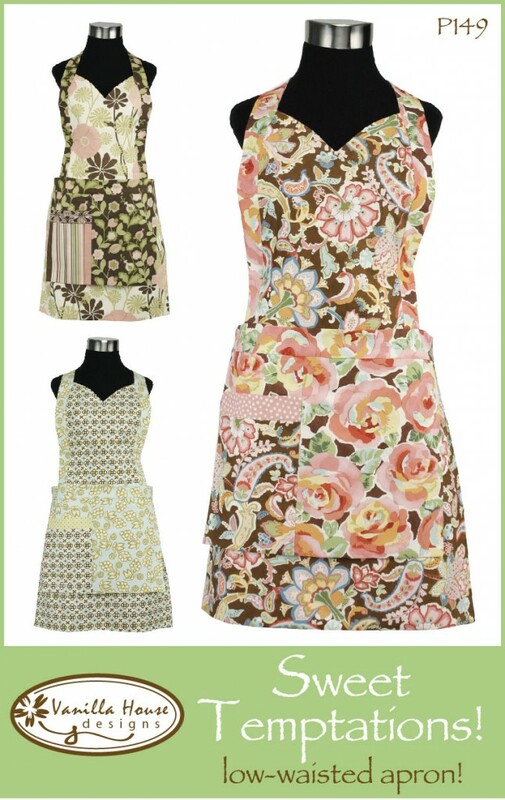 Never enter the kitchen again without your Sweet Temptations Apron! The lines are flattering, low-waisted for a trendy style! The construction simple – easy to make in an evening! Two sizes: sm/med and med/lg with adjustable torso length. 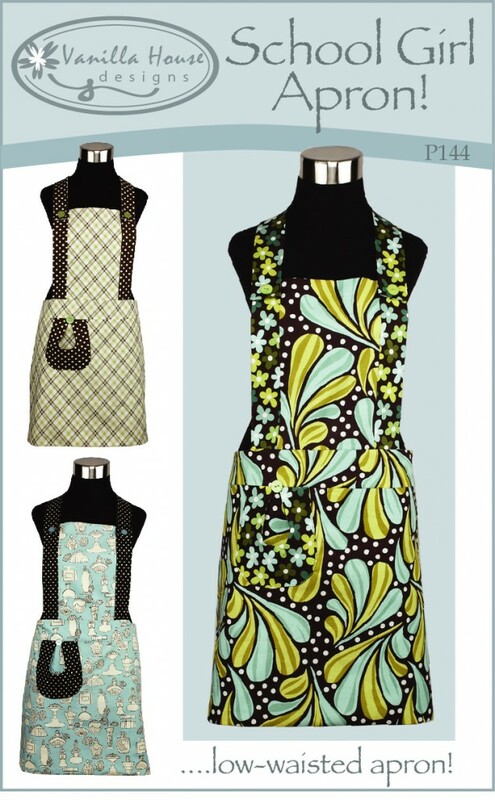 Pattern features three versions of trendy half aprons that all wrap low on the waistline. Cafe Wrap with ties on the side. 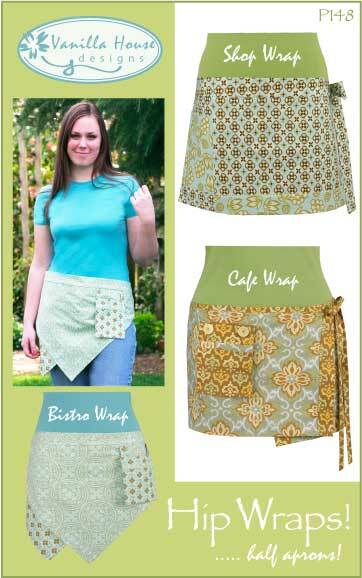 Shop Wrap that wraps all the way around your hips, and Bistro Wrap with its offset points. Fits sizes 4 to 14. So chic! This school girl apron, with a long bodice, ties very low on the waistline and looks so hip! 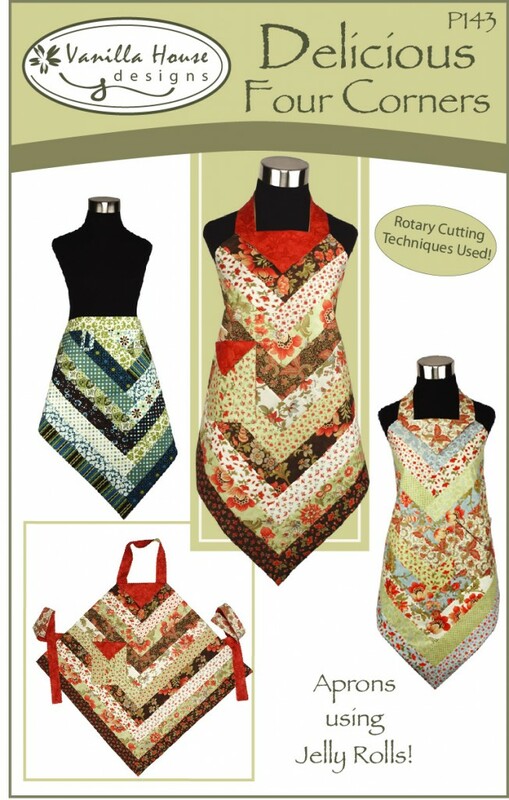 It is the perfect apron project for a sewing class, especially those younger and/or newer sewers! Make It Tonight! Instructions included for ‘Make It Larger’! 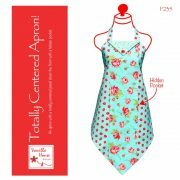 Using 2 1/2″ strips of fabric (or Jelly Rolls), make these absolutely delicious aprons with our original ‘Four Corners Apron’ style. 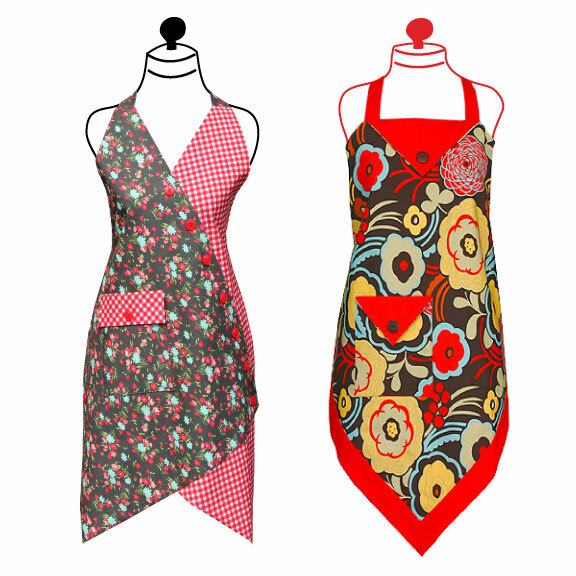 Indulge in the full apron or the funky ‘half apron’ with the offset point. One Jelly Roll can make at least two pleasing aprons –(maybe more for the clever sewer!). Tips to ‘Make It Larger’!